Lunar Cubit is the winner of the Land Art Generator Initiative, a contest to make green-energy production beautiful. 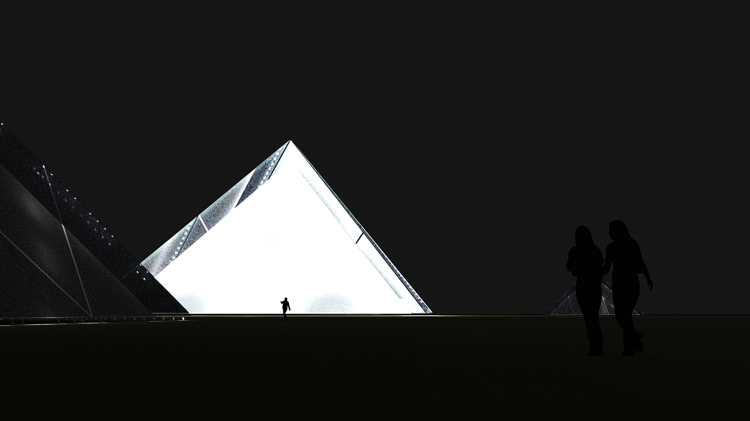 The pyramid is getting an update for the ecotastic age. 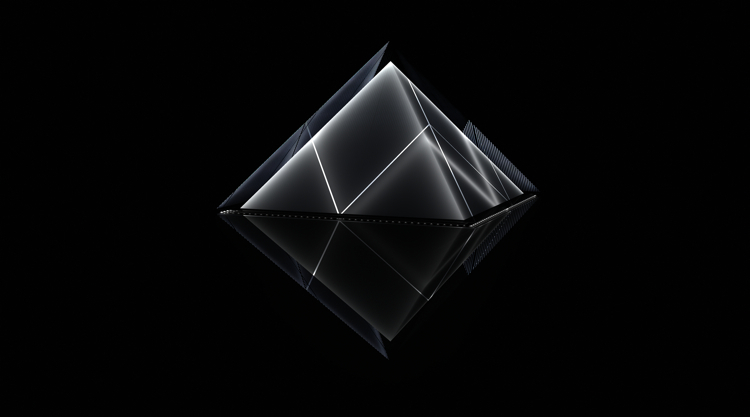 A clutch of artists has unveiled a conceptual scheme to build nine massive, solar power-generating pyramids smack dab in the middle of the Abu Dhabi desert. And, this being the 21st century, naturally they’re done up in tres chic black. Move over, Giza! Beautiful, indeed. 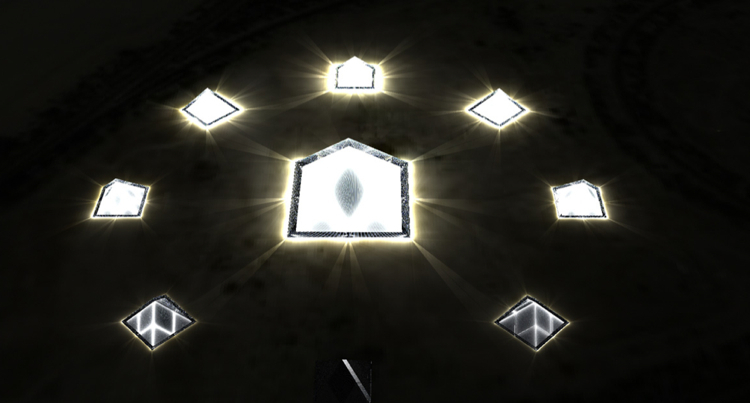 From the renderings, Lunar Cubit looks like a bunch of black diamonds emerging from the dusty sand. You almost expect to see Liz Taylor shooting a perfume ad. As for its function: At its most basic, Lunar Cubit is a smattering of power plants covered in frameless solar panels that together produce enough energy for 250 homes. So what’s the connection to the moon? And cubits? Here’s where things get a bit complex. The whole concept is billed as “antiquity gilded with technology,” which basically gives the artists a hall pass to go wild with ancient-civ references. They started off with the Royal Cubit, the first recorded unit of length and the scale used here to size the pyramids. Then, on top of generating energy and generally looking awesome, Lunar Cubit is designed to be a “timekeeper, a monthly calendar, allowing viewers to measure time through eight lunar phases.” So you’ve got eight small pyramids, each representing a different phase of the moon, ringed around one big pyramid. All are equipped with LED lights. 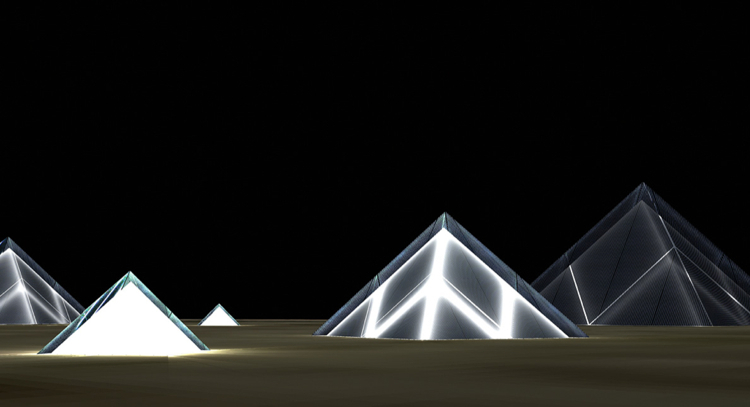 Every night, the central pyramid’s LEDs illuminate inversely to the brightness of the moon. 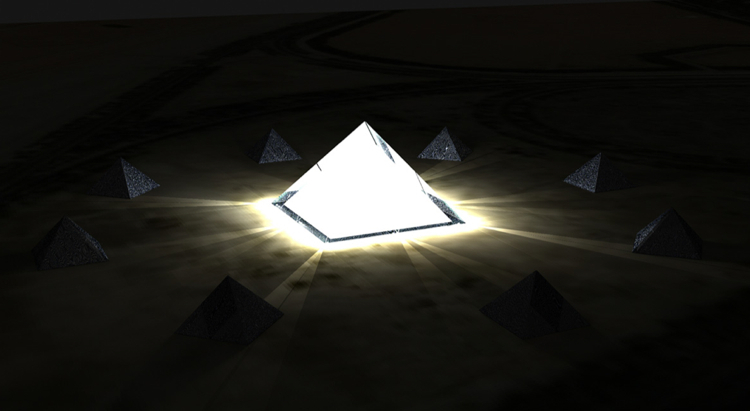 The surrounding pyramids light up, too, but only during certain moon phases. Somewhere in all that, there’s a connection to the Islamic calendar. And Einstein. Dense stuff. Luckily, you don’t need to know any of it to appreciate the aesthetics of the architecture. The chances of Lunar Cubit getting built are slim, anyway. 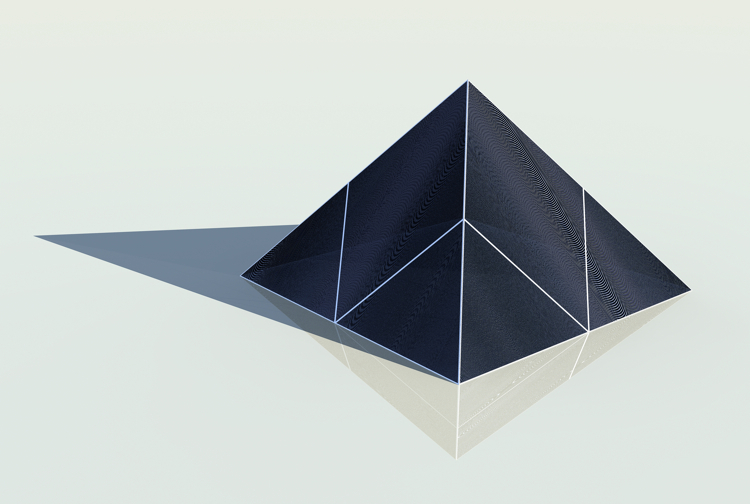 Who would invest in nine solar pyramids that power just 250 homes, when you can build a solar farm and power 75,000 homes — except maybe a pharaoh? Then again, this is the UAE, and weirder things have happened.